Using Gimp 2.8 and Single-Window Mode under Ubuntu 12.04.LTS + Gnome, I ran into somewhat of a snag today. No matter what I did, I could not get the tool palette to integrate into Single-Window Mode. I toggled the Single-Window setting to no avail. Re-starting Gimp didn’t yield any improvements. There was, however, a simple solution. Make sure Gimp is not running. From a terminal, go to your home directory and then .gimp-2.8 (~/.gimp-2.8). Remove the two files sessionrc and toolrc. 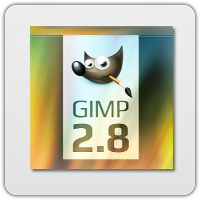 Re-start Gimp, toggle the Single-Window Mode setting, and make sure it’s ON (it’s under the “Windows” menu). Note, this is applicable to Gimp 2.8 and above. Tired of nine zillion revisions of your posts created on your WordPress site? to disable post revisions completely.